Cephorum 500mg Tablets are effective antibiotics used in the treatment of bacterial infections in dogs. 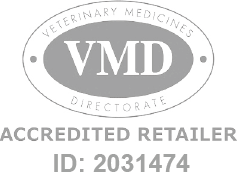 Cephorum Tablets - 500mg is a Prescription Only Veterinary Medicine and by law requires a prescription from your vet. When given as directed by your vet, the active ingredient, Cefalexin, is effective against dermal, respiratory, and genitourinary infections by interfering with the bacterial cell wall. Cephorum Tablets are manufactured by Forum Animal Health and developed specifically for dogs. As such, they must never be used in other animals.